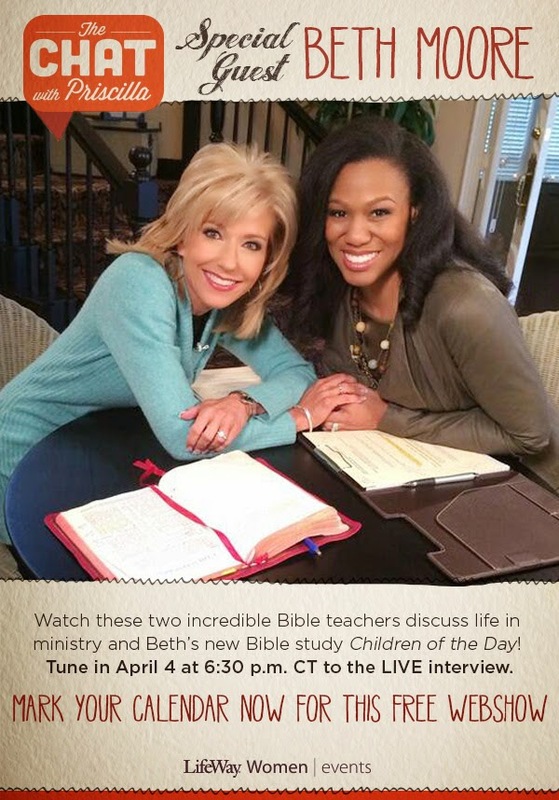 Priscilla Shirer will be interviewing Beth Moore on Friday, April 4th at 6:30 p.m. CST. They will be talking about Beth's new Bible study Children of the Day! If you are interested in pre-ordering the study you can do that here.